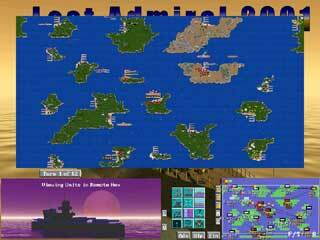 A wide variety of maps are used for games in Lost Admiral. There are nine classic maps with interesting starting setups that can be played over and over to practice one's skills at balancing offensive and defensive movement. 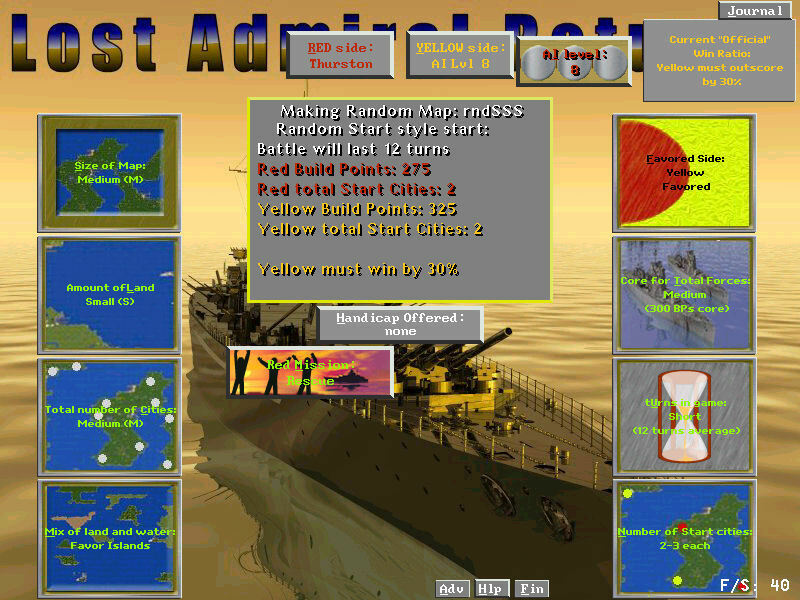 The random map generator creates eight categories of maps for even more variety, including heavily biased battles where one side has the upper hand when the fighting starts. 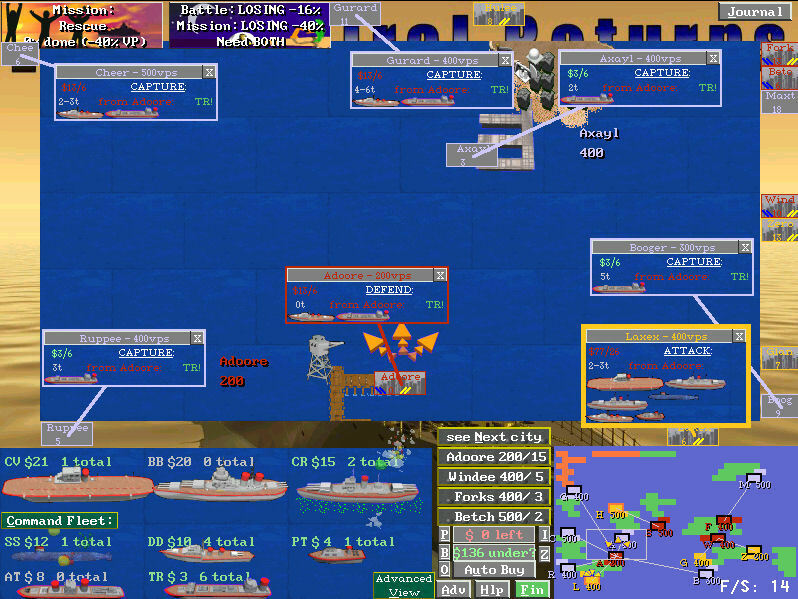 You can also choose to undertake special missions during a battle. These missions require you to complete certain challenging tasks in addition to the normal fight for control of cities on the map, and add all sorts of twists and turns to any battle. Simple to learn and difficult to truly master. Kind of like chess at sea.